…so technically, I can’t set an out of office, but am currently away in America having a blissful time APART from the fact I dropped my phone while camping with Lloyd. Quite annoying to break your phone when you’re on the world’s loveliest holiday but there we go. 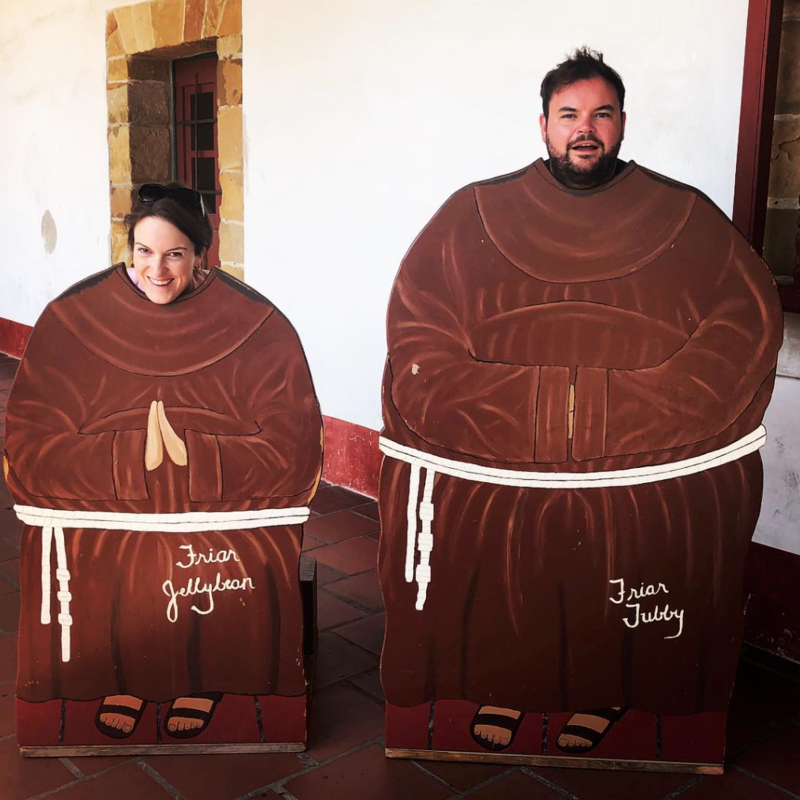 Here is a picture of us outside a monastery in Santa Barbara illustrating how much weight we’ve already put on while in California.